Numm is turning out to be quite the serial, one suffering from a serious bipolar disorder… oscillating between some really good moments and others so mediocre that one is left to wonder ke yeh kiya mazaaq hai. The story, the linchpin holding this fragmented serial together, seems to appear and disappear at will. At times it seems like there is actually progress but then in the very next instant you are back to square one, with the same idea being reiterated in different words for the thousandth time. In some scenes the director and his actors seem to be physically present but mentally absent, but then in the blink of an eye the director is back in full form and the actors are putting in a brilliant effort. In short, Numm continues to be a conundrum. Love it or hate it, Numm has manged to defy all mumkinaats as even after fourteen weeks we still don’t know how its going to play out at the end. Whether this unpredictability is enough to makeup for the serial’s other very serious shortcomings is open to discussion. Turning to this specific episode, there was progress in that we saw a stronger Wali, one gradually gaining in confidence. Even though he is still unfailingly polite with his grandfather, Wali’s steely determination is no longer hidden. 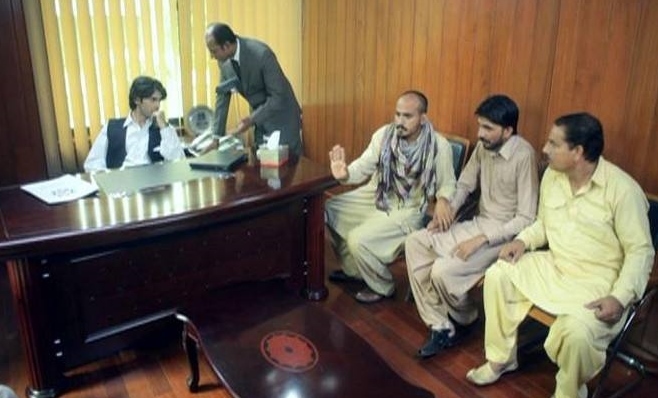 Its not just the mill workers, he has also put his foot down with regards to Mahjabeen. Now, more than the mill issue, which he let him get away with, Baray Sahab is more concerned with this turn of affairs. From his expression it was evident that this was one battle he had never anticipated. Barey Sahab might think he has checkmated Wali by conceding on the labor management issue, but his grandson’s invitation for yet another game shows that he may appear soft and gentle but Wali is also a chip off the old block; he knows his grandfather’s wily ways better than the Baray Sahab gives him credit for. Winning or losing minor battles are of no consequence to this pair, both of whom are now playing to win the greater war. Who blinks first, Wali or Baray Sahab? Usman Peerzada was fabulous in this scene, and Fawad too had his brightest moment of the episode here. Beautifully written, nicely composed and shot, and well directed, this chess game was one of the few noteworthy scenes. My other favorite scene was the one between Mahjabeen and Amtul. Their similarities and dissimilarities, have always intrigued me, and today’s exchange between the two badbakht women of the Bakht khandaan was a significant one. Finally Mahjabeen spoke. What we heard were not the words of a passive victim, rather these were the words of an exhausted woman, pushed beyond her limits in her efforts to cope with all that life had dealt her. Unlike Amtul who had the luxury of losing herself in her thoughts and seeking solace in a world filled with books, Mahjabeen had no choice but to deal with her harsh reality with open eyes. While Amtul was free to ponder on the larger meaning of life in Wasif Ali Wasif’s philosophy, Mahjabeen was forced to pick up the slack and raise another woman’s son. For the first time we heard her spell out her relationship with Wali. More than a son, husband, lover, friend, he was her fellow-prisoner, her saza ka saathi… it is this bond that binds them together – forever. Sania Saeed was absolutely magnificent here. Another beautifully shot and directed scene was one where Wali covers his dead mother’s face, and is shown grieving in the shadows. His expression at her grave also spoke volumes… now if only we could have understood Fawad’s mumbling it would have made so much more sense, but alas…..
From the sublime to the ridiculous, all the scenes involving Neelam and her family seem to come from a very different place than the the scenes described above. Did the director just go away on a vacation and decide to never come back? Why the heck is Neelam still on a bed rest? Even though Wali visits her regularly, why do they need to have the all important Qasim conversation on the phone? What was the point of wasting time showing Neelam’s family and their lame conversations? Rather than reminding us time and again that Neelam and her khandaan were such poor actors, why not delve deeper into Wali’s troubled relationship with his mother. He acknowledges he should have tried harder to listen to her, but could never go past the years of embedded hurt and mistrust. I so wish that rather than endless annoying hospital scenes we had seen more of Wali and Amtul together. Another thing, where was Mahjabeen when Amtul died?? The episode ended with Mahjabeen thinking back to the moment when it all started going wrong. The lighting for this scene was beautifully handled … brightness gradually giving way to shadows, the grays blending in to the eventual darkness embracing Mahjabeen completely, blocking all light from coming in to her life…her faltering and falling in her brother’s presence sealed her fate. Though she had always worried about this eventuality, little did she know what was in store for her …. life was a lot more cruel than she could have ever imagined. Taken as a whole this was another typical Numm episode. The bad parts outweighing the good ones. Not that anybody out there is reading this, but if they are then please cut out the long “thinking” part asap. All scenes involving Neelam also need to be re-assessed and edited with a pair of very sharp scissors. Also, somebody please give Mahjabeen and Qasim other topics to discuss… aur kuch nahin to mausam ke barey mein baat kar lein. Salima needs to do more than give Wali ghar ki report and get back to her cooking and feed Wali some more aaloo gosht … hamara bechara ghur sawaar is shrinking by the minute. On the plus side, the story progressed, it was good to actually see Wali actively working to bring about a change rather than talking about it in abstract terms. Also, the sound, apart from Fawad’s mumblings, seems to have become a lot better and the background music too seems less intrusive….. Are these improvements enough to compel viewers to overlook other flaws and follow this one to the bitter end? I literally liked the episode ofcourse minus neelam and co… I actually cant understand the need of such useless scenes.. Hume kyn saza dete hain manoo ko dekha dekha kar… But yes thankfully we are then given enough amount of strength say Amtul,Mahjabeen, Wali and Bare Sahab scenes to bear such immature ones..
@FA hahahhahaha you said it…there is a blooper posted on FB about the slap FK gave her, if it was upto me I would have made full use of the opportunity giving her so much pain that she would have dropped herself from the serial and spared us the pain of seeing her on the screen. AOA. Your comment about the raves and rants has been understood and noted. The ” 😉 ” with it underlines your words even more. SZ, silent readers are welcomed with words, only if they bouquets. Otherwise, your club is discussing newbies privately, and then referring to it publicly. I’m sure you know that there is a world of people who can understand things beyond Numm. Wishing you good luck in your blog. KH. Drama has been too slow. Each episode is full of slow, meaningless scenes. Now I absolutely feel nothing for MJ, Wali or Neelum. Why Amtul was there on first place? Her character has been inconsequential. @Atif: Thanks for commenting 🙂 Yes, the haphazard direction and the slow pace has been a turn off 😦 re: Amtul: I was really surprised to see her go so quietly.. I hadnt expected that all…. I wonder if we will see more of her in terms of flashbacks, as we see Wali and BS go at it to settle MJ’s future. Like you SZ I have a feeling the director is unable to put his thoughts into a compelling narrative. Numm is a difficult story to tell but then we wanted to watch it because of the fact it was ‘different’ but unfortunately, I feel the director is going to travel the well beaten path showing Wali giving Mahjabeen a graceful exit and releasing her from her bindings…but this is not the story we wanted to see, we wanted to see how Wali Bakt gives his Vani the status of ‘Khandani Bahu’. I really had to fast forward the scenes of Neelam and her pain in the wrong place family. They ate more screen time than the main leads of the serial making me wonder what is the real relationship with the director these actors have. The most touching moment of the episode was Mahjbeen’s description of her ‘saaza ke sathi’ for a moment I thought she was meaning Kasim but then I realised it was Wali …yes so true! Lekin abh woh jawan ho giya hai….the sense of loss, the fact she is an older woman but then this is the relationship we wanted to see, isn’t it instead of those three caricatures having picnic in the hospital? While the chess scene depicted maturing of Wali Bakt as his own man, Amtul’s death scene was very well handled but the scene I wanted to see really was after Amtul’s death, Wali and Mahjabeen mourning her together for they are really ‘sathi’ in pain then in happiness. @Tinni hahaha @ three caricatures having picnic.. so true..its like alice in wonderland.. paint the roses red.. sorry paint manoos hair white.. i mean honestly what the hell..??!!! As for W & Mj afer Amtul’s death.. i guess she made it clear that he is another ”mard” from bakht khandan now who can’t be a saza ka saathi any more. she has seen plenty of bakht mard and their mardangi and the mardon ka nizam… she doesn’t see him as a saza ka saathi any more .. she is seeing him as bakht khandan ke sar ka taj, another BS/jahangir/alamgir in making..
@SZ while i really liked ur take on bakht / badbakht.. i might be wrong here, but i read that as Amtul’s reassurance, reminder and prediction of Bakht khandans doom. @ Tinni LOL @ the three caricatures .. like you all I too am at a loss as to what was all that conversation abt paint and canteen and what not…. @SZ I do not think BS would take anyone’s help to destroy MJ. He is capable of doing it himself. Also he is more then capable of manipulating N.
W will agree to give MJ her property and freedom, inspite of BS’s objection. In the meantime N will lose her baby and MJ will find out she is pregnant. Then BS will find out about Q and will get him killed. N will go mad and MJ will give birth to W’s son. How is that for a good ending. @DB, i would like the scenario if N dies or goes mad and MJ taking care of the baby and waiting for W to be back. W taking blame for BS reminds me of an old Amitabh Bachchan and Rajesh Khanna movie, where AB’s father gets RK killed as he is some union leader and Ab takes the blame and goes to jail. The movie is Namak Haram. @PG I too like the first scenario better. The movie sounds interesting need to check it out. One other possibility could be that BS kills Q and W kills BS. That would be real filmy style. Only I just can not see W killing anyone. @SZ You nailed it!! said everything i wanted to say..
What the hell has that absurd paint brush/hair story gotta do with anything? or the canteen? or the whole neelum tubbar!!!???? i mean hadd hoti hai time zaya karna ki! And uff iss se bura FK ko act karte kabhi nahin dekha! the scene where he seems lost, seemed like he was actually ghark in serious thoughts of how he could escape that mental ward and run far far away!! but im so glad we got these torturous scenes out of the way in the beginning of the episode and then got treated with those wow scenes! for me the bazi scene was the scene of the episode! beautifully written, shot and executed. each line weighed so much. why cant we have more of this and less of the unbearable rubbish we are shown.. the W BS front seems to be hotting up and im loving it!! seeing the two badbakht women together.. another wow scene..
lol @ handling the gun..
why did BS avoid speaking to Amtul.. she pbbly knew alot more.. shes dead but i don’t think her link in the story is quite finished yet.. it cant be justified! why did W had to have phone in his hand next to his mother’s grave? it just looked so odd! and bilmey!! why on earth these crazy ppl call their mothers by their names? i mean Q to mahjabeen kehta hi tha ab W ne bhi amtul kehna shuru kar diya!! mannoo and neelum are not only ones with issues… yahan to aawe ka aawa hi bigra hua hai! well looks like the possibility we predicted last week of BS being the mastermind of this entire hoo haa, all for harapping Mj’s khadani jaidad seems to be becoming more & more mumkin..
un ka yahan hona to na hone ke barabar hi tha. mujhe lagta hai hum ab tak un ko ghalat samjhte rahe. wo jo kehne koshish karti thin wo hum asal mein samajhna chahte hi nahin the. now credit where cerdit is due: as pathetic as the editing is for the actual drama, numm editing does earn brownie points for making the best promos.. most misleading yet most exciting promos and the biggest cliff-hanger promos..i cant wait for the next episode after watching the next weeks promo! @FA: I was literally laughing as I was reading your comment … a big LOL @FK looking for the nearest exit out of the mental ward .. Yes, a lot more to BS’ reluctance to talk about A and his avoidance of eye cintact w/Wali when talking about her … and from the graveyard phone call convo it seems like A becomes more important after her death.. and yes, that phone call…. why did he even pick up that call… aisa kaun sa important call tha .. Neelam hi to thi..
@SZ oh yea! the panchayat scene and office scene was good contrast.. but i thought W handled that like a pro.. he would indeed make a good awami leader.. no? unlike BS who is more of a typical wadera saein type siyasatdan, jiss se awam darein aur maanein but don’t like him in reality. lets see if u can spot the pool.. ROFL @drowning scenario.. i think socha hoga ab poori team ko kia chullu bhar pani main dubain.. chalo pool bhar hi dete hain.. doobna hi hai to tora style se doob lete hain.. after all iss baar FK bhi hoga..
yes i think A will become more important after her death.. magar kaise?…but then again amoo died and nothing happenned.. which reminds me of the grave W visited while N was in Murree (remember?).. who was Allah Rahkhi? i know i am going on a tangent here but was that another bemaqsad addition? ya kuch aur hai kahani ki twist mein? re jaidad: i still think W is talking abt MJs khandani jaidad.. he is talking abt saidhpur.. thats where she used to visit Q…maybe Q made him realize something in that confrontation? by the way whats the other jaidad he is talking abt? did he say ammi kaa sara hissa? when i referred to last week i was talking abt one of the mumkinats we came up with in ur forum..
@FA: Spotted the pool – yes, bhara hua tha! wah kiya nazar hai! ROFL ,,”ab poori team ko kia chullu bhar pani main dubain.. chalo pool bhar hi dete hain.. doobna hi hai to tora style se doob lete hain.. after all iss baar FK bhi hoga..” too too funny!!! Yes, W looked very much at ease in that setting, and could indeed make a run for political office ..
And yes, Allah Rakhi’s grave is still a mystery… btw wasn’t this latest grave the same one as Ammo’s grave, with the same overabundance of rose petals .. only FK was seated at a diff angle … sab log ek hi qabristan mein dafan hotey hain kiya? I think A will become important obliquely as her jaidad comes into play .. she was from a well-off family so presumably she had property from her parent’s side … and another possibility is that she gave that property to MJ, and thats the zamin that W wants MJ to have as a way of securing her future. @SZ re same grave as Amoo: ab yeh haal ho giya hai..locations ki kami itni ho gayee hai abb tou qabrain bhi repeat ho rahin hain! tauba!!! aur aik kabristan kiya lagta hai aik hi qabar main dafan hote hain..tauba tauba astaghfar!!! re jaidad: i still feel Mj’s khandan did have some zameenein which BS got hold of (along with N’s family’s zameen’s POW).. they werent as big and powerful as BS clan, but they certainly weren’t totally khaali haath.. i’m pretty sure this was established somewhere along the lines too.. i’ll go back and check when and where.. but i agree Amtul’s jaidad will come into play.. at the end of the day its all about zarr, zann and zameen! @FA yes like you I was also thinking if this was a new fad in Pakistan to call ones mother by name…. @FA Hats off to you for making out what Wali said to N at the grave. I tried so many times and thought maybe he was referring to him being by her side when she died. Again, Minahil is 5 years younger to N and given that N said to Wali that she never got to know her father, where did Minahil come from?! My 5 year old already has good memories. I am convinced the producers added this little bit of information after the million comments on their ages post that episode 🙂 I just wish they did away with N’s family track. I also feel that Wali doesn’t like their presence either. And yes, FK looks bored out of his mind…acting is part reacting…so true! Btw, has N even changed out f her white and pink clothes since she did us a favour and landed up in the hospital?! I always thought that the servants of the house knew more than they let on…to other people unlike Rukhsana the maid. Dawood knew exactly who lived at the house MJ visited regularly but we never were given any hint of the same. From the next episode promos, Dawood will be the one who would “lead” Wali to Qasim. Wali has become jawaan in MJ’s word and boy, is BS coming to know about it or what! Loved the chess scene and the way Wali declared war with BS in not so many words. Also, to N when he referred to not wanting to understand what Amtul was trying to tell him is also quite significant in the light of his earlier question to BS about him visiting Amtul. Its clear that Wali has figured out BS more than he gets credit for. Where was MJ btw at Amtul’s death? The producers maybe wanted to hold off any scene with Wali and MJ together given they need to have a little talk but I still found her absence weird. @AK: Hey! agree with you on the disjointedness… hard to figure out kaun kahan kab ja raha hai ..
Re: the same clothes at the hospital,, I think like the graveyard scenes these two were all shot in one go, therefore Neelam’s same pink lipstick and over teased hair.. the pink thingy is supposed to be her hospital gown, I think. But then again madam ki tabiyat kharab hai, mumkin hai kaprey change karney se bhi Dr ne mana kiya ho? @AK yesss!!! moment where W ne Amtul ka sunn ke basat ulat di.. it reminded me of his conversation with BS & co abt dual nationalities aur his ”mein-apna-ghar-jalte-hue-chor-ke-nahin -bhagoon-ga-no-matter-what” conversation… his family comes before any baazi, any chaal, any game..
lagta hai numm ne kuch kiya na kiya ho, taleem ke maidan mein kuch kaam tou kar diya hai! drama students ke poore batch ko paar lagane ka intizam kiya aur hamari honary degree with all kinds of majors, minors and extra credits bhi pakki kara di hai! @Tinni @Yasmin I think that would’ve been be ideal case scenario.. but after todays Mj Amtul chat, I thought Mj doesnt want to stay tied down to this rishta. She wants freedom. She wants to live her own life with her son..She said it ‘na jane kiss rishte se..” but she feels that now he’s outgrown that bond… shouldn’t she have the right to choose how she wants to live her life after all?? I also feel that mumkin hai W’s sudden give-the-zameen-back-speech will be more to do with the ”so iss rishte ka kia faida.. ” azad kar dain MJ ko with all her rights..
btw bechare w ko pata hi nahin hai mj to wani hon ki wajah se sari jaidad se haat dho bethi.. Neelum to vani bhi nahin hai phir bi uss ki saari jaidad Wali ji ke naam ho chuki hai!! The question I have for the director is does Fawad and Sania do not get along for they are given so little screen time together? @SZ, a brilliant review of a only brilliant in parts episode. For me the dialogue of the episode was “Mein to theek se pagal bhi nahin ho saki”. This conveyed the pain and sadness of MJ so brilliantly. The less said about N and family the better. And remember the discussion on this forum couple of weeks back as to how old was N when her father dies. In the pretty useless convo of the cartoon family it was told that N was 8 when M was 3. Maybe an oversight by the writer and the director. and the biggest Why… why is N still in hospital, I thought it was just a teensy fall and according to the besotted doctor who incidentally does not talk to the patient or her mother but only to the gorgeous husband, she has to stay few more days. Waise I dont have any problem with that as long as they dont feel the need to show us the hospital at all. Lot of viewers want to learn the past story but not of N’s antics in her still ongoing childhood.. there is so much more to tell. Another big oversight was not showing MJ mourning for Amtul. Maybe we will see something in the upcoming episodes. I also feel the major confrontation between W and BS will be because of MJ. W seems to be plotting something and after every word he was gauging Bs reaction. He knows of the discomfort BS had with Amtul still went ahead and asked him about it. I wonder what it was as BS was reluctant to go to her even when servant came and told. @PG: A huge pat on the back for you for paying attention to what was being said in the lame paint and picnic convo … I will confess to tuning out most of what was said … and now that you mention it yes, that math seems odd … perhaps our resident mathematician @RR can help us figure out who was how old when ..
@SZ, as my fascination with official FB page, Why oh why do they want to make N a heroine in front of us? So she was not able to eat for a few days after the slap. Does anyone care? What is so brave about it? To be fair, it was bad but why remember the fact after 10-12 weeks. The more they are pushing her as a heroine, the more she seems like a vamp. A thought, did she get slapped so hard for her bad acting…..
@PG: That ages old blooper is nothing more than a ploy to drum up more excitement, and encourage more comments on the page, from those who might have recently jumped on the Numm bandwagon.. and LOL @ your theory abt he reason behind the slap … mumkin hai! You should check out the caption they have for the Neelam and her family collage …I immediately thought of you when I read it! If you havent seen it yet, do check it out and come back to vent some more! 😉 ..
@Sz, thanks for pointing out the halka phulka conversation. What was the need for the “light conversation” ? They should realise by now, we dont want ANY conversation from the idiotic family. And if anyone endured the scene, what was that about, M telling N get me a juice. Hello, your sis is admitted in hospital not a five star..
Alsop in reply to another question, “Kuchh ladlay bachhey apni maa ko naam se bulate hain”.. kaunsi duniya mein aisa hota hai.. I at least have never seen it. Maybe it so in a parallel universe . waise parallel universe reminds me of N and her family if somehow can be shipped there. Hahahahaha!!! I have no clue what was going in the writer/director’ minds when they were working on those scenes… mumkin hai ke all these lines would have had a greater import if N and her family were played by better actors! @PG akhir amoo ki karoron mein aik wali betuki baat ko bhi to sabit karna hai.. to get ppl to starting liking N they r using the oldest trick in the drama world.. mazloom aurat! little do they realize that its hum log that r muzloom who have to suffer..sorry but she so totally desreved that slap for winding us all up! Mumkin hai N ki pregnancy mein complications hon.. doctor friend (aise dost to dushman behtar hai waise!) ney W ko ”paas bula ke” confidence mein severity batai ho.. N ka child/teenage mum banna buhut khatarnak hai.. N ki harkatein dekh ke samjhi hogi abhi bilkul bacchi hai.. talks like a bacchi, uchalti goodti like a bachi, plays hide & seek like a bachchi, and then catching her talking to mr jonty must’ve confirmed it! i mean we have plenty of age conundrums in this drama anyway aik aur addition sahih! Btw, this time around I also noticed ke N’s foot was bandaged…. seriously??? how is a fractured described as a tabiyat kharab hona … and how in the Lord’s name did she fracture her foot from just slipping?? I know!!! aik seerhi se girne se yeh haal ho gya.. agar asal mein khali pool mein gir jati tou kia hota!!! when i saw that plaster/bandage i was like acha last week tou doctor ne kaha kuch nahin hua, tou yeh achanak se plaster kahan se aa gya? that doctor is trying all the tricks she can find yaar! Chot paaon par lagi aur N faint ho gayi. Mujhe to laga ki sar mein chot lagi thi. Shayad doctor friend hi bar bar dhakka de kar gira rahi ho. Hi SZ and all. I am back from Dhaka. I followed you from time to time during this transition. I did not like last week’s episode as it was third class ‘cat fight’ as you put it and it was against my taste. However, I loved this episode minus the N family like all of you. After last week’s episode, N seems to me as a dreadful witch. I can’t stand her anymore. A wonderful review SZ. Agree with you SZ and Rehmat. The most wonderful scenes were Mj-Amtul, Amtul-W, W-Bs. Loved Usaman Peerjada, Farah, Sania and Fawad in those scenes. The duel between the to Kings was magnificently portrayed, lighting, body language, Chess, the burning cigar and hands bringing together were all wonderfully reinforced with the awesome dialogues. mesmerizing. Emotion of a deprived son on his mother’s death played on shadows was artistic. The frustration of two imprisoned women and the deepest ‘Ahaaa’ of a proud women – who has been intimidated to mere existence – were played out beautifully. I also missed the interaction between Mj-W on Amtul’s death. Bs is a charming character and UP does justice to this character. I don’t think it was about seizing the land of MJ family. I think it was more of a pride issue. Bs wanted his ‘praza’s to be cowed down inhabitants of his jurisdiction. MJ’s brother looked to me also a proud man and he stood against Bs on some zameen issue that we have heard earlier. And then comes his sister’s issue. I think Bs wanted to stamp Mj’s Khandan to set an example that he – the Bakht is the invincible. It is the classical landlord-proletariat kind of confrontation. 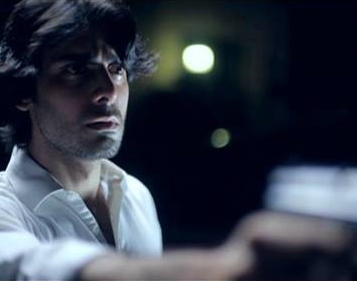 I didn’t understand one scene where Wali shed dry tears in the dark. What was that? Did he feel betrayed? Or was he ashamed? Or was it his wounded manhood – the possessive mind? I don’t feel that only letting Mj free will restore her position or dignity to the society. A vani freed will still be a ex-vani not a wife to the society. The status of a divorced woman and a freed vani must not be the same. @SM, I feel W’s tears were also like MJ’s. Sazaa ka saathi. It seemed lost love with regret. Although w talked about giving jaidad to MJ and making her free, i dont think he will be able to do it. It also symbolized how truly alone he is.. MJ still has Qasim, he has no one (One can’t count N). I think what they are showing is he will do the right thing with MJ but it will break his heart. Somewhere , in overanalysing I feel or rather hope, is it he is so rude to MJ at times that she goes away on her own. As he does not have the strength to send her away. also if he pretends to be happy with N then Mj will go away and be happy in her own life. @SM: Remember how much time we had all spent in analyzing all these fabulous characters .. now thanks to N & Co it is fast turning into a farce,and a very bad one at that,.. The scene also shows FK’s brilliance as an actor as the despair the character is feeling, just comes through. He is absolutely drool worthy in this scene. I wonder why do I like him in all the scenes where he cries. His anguish and tears seem so real that you feel like going upto him and comforting him and telling him, dont worry , everything will be fine. The best end to this play maybe he sets MJ free and she comes back to him of her own accord. But that may not happen at all. True, he was really good there… and that tight closeup of his at the end was fabulous! Btw, in the promo for next week, why did Dawood fall into the room when Q opened the door.. it looked really awkward! @SZ re dwood falling: yes def awkward! it shouldve been a fall followed by W’s push or something.. but seems like he fell before the push.. might be like the dhakka from Kashaf instead of the planned grabbing the thappar hand in ZGH..
Once I really wanted that W would free Mj after the short romance when N came back and W attempted to be happy with N and N pushed her endlessly.I thought if Mj is freed there is a chance for the W-N couple although they do not share slightest chemistry. But after this episode, I do strongly believe, W-Mj share a strange but strongest love affair. I do not want Mj to leave poor W. Although Q – quabab me haddi….do not let me think of the W-Mj relationship, still I go for a W-Mj meaningful and dignified relationship. BTW Numm does have a touch of the ancient Greek stories. On a different note, A caged bird, if remains caged for long forgets to fly. Agree with you RR (orig) that ‘saza ki saathi’ does have a deeper meaning. Now, the Q-Mj relationship sounds very strange to me. However, I find all mother-son relation strange in Numm. Q is Mj’s son and she never calls him pairse ‘beta’. More surprisingly Q not for once called her maa, ammi whatever. Also, what kind of a beta he is, who never listens to his mother at the age of 16-17? He does not seem very respectful to her also. On Mj’s end, when she was speaking her mind to Amtul, she only talked about what W means to her but never mentioned about Q, Why? I thought Amtul was informed about Mj’s condition from Alamgeer. In addition, as Mj raised W, she deprived Q or she could not give the care of a mother to her own son, if he is. But in any of the conversations, or scenes especially, in the Mj-Amtul dialogue, she should have mentioned about how she missed raising her son for she raised Amtul’s child, as it is more pathetic than her personal sorrows. Also others have pointed out in some previous episode how did they swallow a whole Q from day one to 16-17 years. Did he never go to school? What is the father’s name in school? What about neighbors? If Bs does not know that someone in the local school using his name then this is poor logic. So is this poor logic or I doubt Q…………..
Now, I first read your reviews and then watch the episode. That way, I can FF thru all the boring scenes involving Neelam & family. Only reason I keep coming back and watch episodes of Numm (not all, just selected ones) is because of your reviews and everyone’s comments & observations regarding “awkward moments”. I find your reviews and the reader’s feedback is more interesting and funny then the Drama itself. Mumkin hein, that Geo TV will send you a big “Thank You Card” for keeping the viewers interested in this show. @Fizza: Talking abt India and his film there, here’s an FK related tidbit for you… Someone on twitter met FK and Sonam a couple of days ago on the sets of Khubsoorat in Bikaner, India. She got their autographs and was swooning over FK. They were not allowing any pictures b/c they wanted to keep the lead pair’s look under wraps till they were done,but she did say that he was still bearded, and smoking as well. Ratna Pathak was also on the sets and apparently playing mom.. kis ki yeh nahin maloom ..
and how’s your parhai coming along? Thank you for asking about my studies. 🙂 it’s going well ALLAH karay papers bhi achay ho jayain inshaaALLAH. Exactly Afia! I hope he comes back to Pakistan soon inshaaALLAH, aur phir kaheen aur na jaye please… 😦 this thought that we won’t be able to see him on our tv for a year or so is sad. he’ll be leaving Rajasthan on 15th, either for shooting in some other Indian city or for Pakistan. I wish it’s the latter! Anyways I still want him back. @SZ, any idea when the movie is coming out. In the original the hero (Hrithik’s father) did not have a very big role. Dunno what changes in the story are there now? Does anybody have any idea? This is what I’ve heard straight from the horse’s mouth- sonam kapoor herself. Don’t know if they have changed it now, anyways it’s something like: Sonam kapoor is a physiotherapist who goes home to home to help people out where hero is the youngest brother perhaps. She said we’ve made this movie a bit of contemporary it’s not at all the same since those family systems do not exist anymore. currently taking place in a palace in Rajasthan. Let’s see how it turns out to be! Movie supposed to release next yr…. Can I see the autograph plz 🙂 ? @SZ If the original movie was Khubsoorat with Rekha then it was a classic movie. But the whole movie is on the female heroine and the male hero has a very small role. The whole story is on the clash between the heroine and the hero’s mother I can not see them changing this and keeping the original theme of the movie. I would have loved this episode if it weren’t for Neelum & Co.’s scenes. Agar time pura karne k liye scenes nahi hain to bhale commercials dikha dain, wo bardasht hain mujhe lekin un 3 namoonoun ki shakal na dikhayen. Paint brush wth! Scene of the episode for me was the one between Amtul and MJ. Amazing, amazing, amazing! The chess scene, mill workers’ panchayat, Amtul’s death and Wali in the shadows were too brilliant. But once again they ruin the effect by the long fillers they love to put in. About next epi’s promo: I think that when W will confront Q on gun point and the latter will tell him that he is MJ’s son, (aka his rival) Wali will decide that it is better to give MJ her property to maybe kick Q out of the scene and partly out of the goodness of his heart. I totally agree that the promos are cliffhangers, even if you end up annoyed with the episode you can’t help but wait for the next one. I hope they show more of MJ’s past and her confrontation with W.
Hey Guys! First off, there is another RR here, wow, so I am wondering if I should steal SK’s idea and make mine– RR (original)!! Icons are different of course! @SZ: Spot-on review as always! Agree with @Fizza: a reviewer must have keen eyes to sift out the good and the bad, you have that talent. So here, I will agree with the new RR, that Geo TV owes you a “Thank You” card at the end of this Numm-journey. If not for you and this blog, many here (& the silent readers) would have abandoned this numbing-Numm!! So a big thumbs-up to you and your blog! Your blog is very aptly named—all of us “desis” love to “rave” and “rant” by turns, why ever not?? Numm, particularly has a lot that is rave-worthy and a lot that is rant-worthy too, perhaps, that’s what intrigues us and keeps us coming back week after week! This blog has been very democratic and has always welcomed all—the “ravers” and the “ranters”!!! Kudos to you, SZ for that too! Coming to this episode…agree with you…how does team-Numm manage to go from the “sublime to the ridiculous” in every episode?? Sad really! Thank God, we had a lot to “rave” about in this week’s installment. The standard dose of N and her family’s antics– to evince our “rants” will ever be with us till the end of this journey. Chalta hai, what to do? Poor N cannot say “Wali” and “waaris” properly, they could have changed the hero’s name and helped her out!! The best scenes were the chess-game and the one between A and MJ. What a difference good actors make! Didn’t expect A to go away just yet, now she will live through in the flash-backs instead of being the one revealing it all as we expected. W’s reaction to her passing away was so good but I had hoped like others here for some kind of W-MJ bonding at this time. Why was there none? Or do we blame editing goof-up again? They have made the age math worse, in two ways, the earlier episode has a clearly spoken dialogue, Minahil saying “main tumse sirf chaar saal choti hoon” now mom says one was five and the other three when N got up to that mischief so they lost track of their dialogues. The second goof-up, now with N being an year older than we thought at the time of her father’s death (5 instead of 4) and W being 10 at that time–the age difference is only 5 years between them!! So that makes N 22 yrs (W is 27now) and still at High School!!! Good Lord! @AK: Agree with you which 5yr old does not make memories?? I think all these producers and directors (or do we blame the female writers) have a yen for Mills & Boon genre of romance….an older, cradle-snatching hero and a very young almost cutting her milk-teeth heroine….they would not/could not peg FK at more than 27-30yrs, then what do they do….try to make the profile of the leading lady as being 16-18 behaving even younger!! They suffered a wee bit with how to do this and yet not do this in HS too (FK mentioned it in one of those morning shows after HS) mercifully ZGH escaped this pitfall by showing them to be classmates…. About the jaidaad—W clearly says “MJ ko uski jaidaad lautane ki…Saidpur ki 100acre zameen…aur ammi ka sara hissa dene ki soch raha hoon”…..MJ comes from a poorer than Bhakht family but not from “poor” family is what I think. He must be doing this to play fair by Q and restoring MJ’s dignity in N’s and the community’s eyes as “jaidaad waali” and not a poor hanger-on/servant….but I don’t think he will ever relinquish his hold on MJ herself….he needs her….just as MJ is going to surprise herself by needing him, she has half-voiced it now calling him “saathi”….sazaa ka hi sahi!! More than their realization of this bond it is going to be BS and N waking up to this reality and combining forces that is going to bring about the ultimate tragedy!!! Don’t kill me guys…but you know what I think….trying to kill MJ….BS and N and their conspiracy will kill W too….with both W and MJ dead….N will take Amtul’s place in BS’s haveli….then who is that guy walking in the ruins at the end? ?….that will be W’s son also played by FK (the baby about to arrive now)…..hahahaha…..now kill me!! @FA: Oh God! How do you come up with such hilarious comments? Much as I dislike using LOLs and ROFLs, I am going to say I did indeed end up ROFL after reading your comments!! Yes, I did note that the pool was filled up but whether it is for the purpose you designated…remains to be seen! @PG: Agree with all your “why”s, all of them seem to arise from such meaningless, disjointed fragments in the story—I don’t think we will get reasonable answers for these “why”s from team-Numm! So we have to cook them up ourselves!! @SZ: Arre yaar the catfights between the doc and N will any day make for better viewing than N and her family’s ridiculous chit-chat….don’t you think so? Hey, you asked why Dawood falls awkwardly into Q”s house in the next week’s promo….I think W brings him at gunpoint asking him to lead the way to Q’s house and pushes him inside as soon as the door opens, hence the fall! Although every cliff-hanger promo leads to a tame outcome the next week I am waiting for the next one now…..
@RR, i think your scenario seems most plausible. But I feel W will remain alive and it is him only who is wandering the ruins. MJ might die, that will be sad, maybe N dies (How many people are actually waiting for it) but this drama does not seem to be moving towards a happily ever after scenario. Waise definition of Happy ending for me at least does not mean W ending up with N. that will be the saddest ending. This couple has no chemistry and no spark. Nobody is rooting for them inspite of repeated pushes by the FB page. Now anything for a cartoon family free episode. We surely deserve one for putting up with Numm week after week…. @PG: That FB page is a joke! Anyway that’s also a good time-pass venue for us when we are bored!! Its their idea of creating a “cliff-hanger” scenario. You know why I think the man visiting the ruins in the end could be W’s son…..let me put it this way…..the way this story is going all of us are agreed that there will be no happy-ending for anyone…..it will be a huge tragedy. How would this happen for each of the main characters? MJ and W can’t be shown as living in conjugal bliss, especially after Q’s revelation….MJ’s death will relieve BS and will make N totally happy ke raaste ka kaanta hat gaya, right, so at least in one way she will have a “happy” victory…..what will make her sad and perhaps drive her out of her mind just like Amtul…..only W’s death can do that…..after all we have been shown the Bakht khaandaani bahus don’t come to a good end…..Amtul and MJ too in a way, whatever her title….next you tell me when does a haveli come to such a neglected, ruined state…..it shows the passage of a looong time….with no one living there….if W was alive, they W and N will be living there…..the man’s legs shown in that “ruins” promo and his walk are youthful…..after the passage of such a looong time W will be an old man…..and he will neither have the curiosity nor interest in visiting a haveli abandoned by himself. Hence my conclusion— MJ’s and W’s sad end will come with the recognition and acceptance that they can’t live “without each other” and “with each other”….so both will either die by their own hands or killed by others…..this will lead to N’s tragedy of extreme despair to the point of losing her mind and becoming just like Amtul and the next khaandaani bahu taking the place of another who vacated her place conveniently…..remember N saying she would love to live in that haveli forever and A’s reaction to that a couple of episodes back?…..BS’s tragedy will come by watching all this tragedy happening in front of his eyes, maybe even by his hands ke kya banane chala tha aur kya ban gaya…..then history will get repeated with W’s son being brought up by others just like his dad…..maybe even by Q, who knows….I have a feeling maybe Q “may” not have this kind of tragic end…..would even take BS’s place till W’s waaris grows up…..this son will hear the story of this great tragedy one way or the other and will have both the curiosity and the interest to revisit the site where all this kahaani took place!!! What do you think of this story?…..totally filmy hai na…..that’s what happens with watching too many of these shows…..we develop a very fertile imagination…..and SZ has given us the perfect place to vent it all out. Hey guys, this is all purely my imagination….go ahead and kill me with your words…..all FK fans don’t get disheartened because my feeling is that FK will continue to be on our screens as W first and then as his son (in a new shiny avatar)!!! @SZ: Like your idea of RR(1) and RR(2)!! @RR (1) Nawazish 😉 Sorry, I am trying to squeeze in commenting in b/w cooking so I didnt get to reply to your earlier comment … I am totally with you on the BS and N ganging up together scenario .. infact said that in one of my replies last night.. but wah! I like the way you took it one step further and W key wali -ahad ko bhi daal dya story main … nice!! LOL aur kuch nahin tau Numm has turned us all into great fiction writers … and I like our version of filmy so muych better than the ghatiya stuff thats being passed off as filmy these days … have you noticed how a rain scene is a must now in every new serial??? @RR! as your story seems very logical, rest assured this will not be the scenario in the drama. As logic and Numm do not meet ever. As we saw, BS was more perturbed when W said, MJ is his responsibility and he alone will decide where she lives, I feel BS will manipulate N ( being wily as he is and she being stupid as she is) into hounding MJ and trying to throw her out of the house. It will be interesting to see how will W react then. Hey Guys! Correction** with reference to the age math in my first comment, it should be—“mom says one was 8 and the other was 3yrs old at the time of that mischief” making an age difference of 5yrs in between the two sisters, I made a mistake of saying 5 and 3 making the age difference only 2yrs!! Sorry! @RR kia baat hai ji! lovin ur story! i was reading this yday at work.. it totally cracked me up! kafi door ka socha hai aap ne aur kia details dali hain!! i don’t think W will get a wali.. not from N anyway.. thats the only way that will lead the bakht khandad to its ultimate doom. i reckon W is showing signs of leadership now. we might see him emerge as a siyasatdan at some point. That will add some meaning the BS & cronies scenes. N’s potential problem with conceiving another child BS will ask W to marry third time around which will change N’s views abt BS..
W will allow MJ to live however she chooses to live her life. Now im gonna go a bit wild following my imagination here : i think W will end up going back to wilayat and will return after a long time without a wali.. hence the haveli in ruins.. Mj might opt to live with Q..disheartening W.. which might’ve been the reason for him to leave in the first place..
its also perfectly possible that the ruins r not of the haveli.. perhaps saidhpur where MJ lives alone, having lost her mind after BS got Q killed?? and abt continuing Amtuls link in the story: Amtul was from london right? her family might reveal some of the missing links there??? just wanted to add that some ppl were getting worried that the story is loosing its focus on vani.. i am glad to see that its def back on track on that front. Here’s my latest mumkin ending for the story … with as much mirch masala as possible..
MJ will be “freed” by W to go live w/Q, but before she gets there there will be a chase scene (read never ending scenes of cars on the highway) and BS will kill MJ (with the same kind of a toy gun that W was shooting with ). When Q hears of this he goes Rambo-esqu and kills BS and ultimately after another thrilling (read lame long car scene) ends up in jail … the closing shot will be that of an old sad, almost mad W wandering around the darkened haveli, much like Amtul in the opening scene … oh and beech, beech main as W is devolving he will have tons flashbacks: N dancing in the rain (ajkal ka latest trend hai na;) ), MJ wandering in the gardens, MJ putting away birds’ nests, MJ looking at her hair, maali not doing his job properly, Salima dropping chai on N’s lap, etc … after all 25+ episodes bhi tau poore karne hain na…. lol at car scenes and ROFL at the endless, episode-filling flashbacks and the trendy rain.. well ”the night” was another rainy one after all! he will also see N in his nightmares and Manahil & mum will keep coming (to haunt us) for condolences and all the drama school namoonas for the afsos and all. @ SZ Another brilliant review. It seems we are taking out all our frustration and disappointment of this flop drama on N and family. Admittedly they are actually terrible actors but they are only mouthing what the director and writers are telling them. Even the great FK has at best given an average performance at other times even done a terrible hack job. This episode began so badly. One moment W was in the car talking to N next he was in hospital where everyone was saying stupid things. I did like the chess scenes, that showed in a very subtle way the power play between BS and W, nicely done. Unfortunately I did not relate to the A and MJ conversation, I did not see a purpose for that conversation at that point nor could I invoke any sympathy for MJ and her plight. To be honest I am simply worn out of sympathy. The scenes where N tells W about Q we do not see any emotion from W all he was doing was consoling N not to upset herself on this issue. I think N was suppose to be very happy to tell him about this issue not upset, so that whole conversation was ridiculous. And as others have mentioned why tell on the phone when they were together just a while back. The shooting scene was another poorly executed scene as they just cut it off. As many of you’ll have already said we do not see any confrontation between W and MJ on Q matter or after A’s death. The director would have been better off showing those scenes then the silly hospital chatter. W feelings about hearing about Q were never shown. There was one scene where he was lost in thought and looked very dejected and upset. I wish I could understand the cause of this dejection, was it that he has put MJ on a pedestal and can not accept that she does have feet of clay? Was he upset because it would be a blight on the Bhakht name? Was he jealous? Come to think of it no one is talking about the Stormy Night anymore even thought it is more then relevant right now as that is one small factor that determines the actual relation that these 2 really have. This drama has been so disjointed that I am confused about W and MJ’s relation and feelings for each other. At times he is rude to her, at times he is gentle and caring, at times he will not answer her phone, at times he keeps calling her. At time he looks at her as though he hates her at times he looks at her as though he loves her passionately. She is equally confusing. Does she care for him as a surrogate mother or as a wife. As I have said before there will not be a happy ending. I think W will go to prison for the murder of Q who will be killed by BS. @db, dont worry, after watching this drama and trying to analyse it, we all become disjointed. You are right, we should not blame N and family because it is ultimately writer and director’s work to get the best out of actors . And these people are spouting the dialogues given to them. Bcos of bad acting, all the crucial scenes fall flat or become caricatures. Actually there should have been sympathy for N as she is first forced into marriage, then she falls in love with a complex person who loves his first wife more but has lots of issues. But unfortunately she does not evoke any sympathy from anyone (apart from official FB page). There is also utter lack of chemistry between the lead pair. They just dont seem to belong together. At times, bad storylines and other bloopers are sidelined by the acting of the lead couple, prime example ZGH. The drama had its share of problems but the thing that stood out was chemistry between FK and SS. All their scenes together were simply brilliant. The other bloopers like age flip flop and all, are all at writer, director and editor’s responsibility. In all three departments, we see flashes of brilliance and then utter stupidity. I feel, this drama is discussed so minutely as many of us can see the potential of this drama and what it could have been and lament at what it actually is. Mumkin hai, Numm team sees all these pages and make changes inthe upcoming episodes.. anyway, wish karne mein kya jaata hai. Re: your query abt what W was feeling in that scene where he was all dejected and his relationship with MJ, we analyzed it to death in the comments above ..I dont think he knows as yet who Q is and while he might be curios abt Q and MJ’s relationship, i think he knows her enough to know that she is the kind who would be having an affair .. or atleast I hope so ….And I think by now its a given that that stormy night did alter the relationship b/w MJ and W… And their feelings for each other are very muddled… and I think thats what is perplexing for them as well..
@SZ and @PG Thanks for your replies. @SZ I am so impressed at your ability to response to everyone. And a big shout out to all on this forum for making this boring drama interesting and fun for me. @db: I try 🙂 So true, everybody’s comments add so much fun to the drama watching experience! @all just wanted to say a big thanks to eveyone here.. i had a super-long, mad day at work and as i was pulling my hair out these comments/alerts kept me going.. i cracked up laughing at hum bhi saza ke sathi hain.. i swear ppl around me thought i had completely lost it lol.. got loads to say but it will have to wait till ive come back to my wits.. Forget numm m, haven’t even watched it this week but Rofl at the comments!!! The 40 mins was better spent here LOL!!! Oh and @ SZ rofl at every new serial having a rain scene!!!! Omg tried 2 serials and was wondering yeh kya Hira hai, rain in the opening scenes or phir dance bhi??? My head started spinning, humsafar ka muqabla??? Never!!! Why can there be never any originality, am so done!! Oh. And RR original go for it lol!! @SK: Hai na!! So fed up of this trend of copy catting … and not just women,,, men too getting drenched in rain .. AK in Meri Zinsagi Hai Tu and FM in Mere Humrahi … and oh in Mere Humrahi FM removes the rubber band from Haniya’s hair … khuley baalon main acchi lagti ho!!! Omg No way!!! Ridiculous , yeah and in the meri zindagi hai too it kept raining in every other scene in the few episodes I watched … I was like puke!!!? You guys are no Ashar Khirad ok!!! Talk about over doing it badly:( if I want to see iconic rain scenes, I know what Im going to watch and it’s not Ahsan and Ayeza lol!!! 🙂 Bohat shukria! Mere pass ya humare pass? @PG and @DB: Yes, it is a remake of that same Khubsoorat, the Rekha/Rakesh Roshan starrer.. and yes, a fab movie indeed! Acc to Sonam the story has been completely overhauled and the only thingthat remains the same is the fact that girl brings in change in the lives of the people around her. Apparently this new storyline has Rekha’s blessing as well.And yes, like you all I hope that the hero’s role has been considerably expanded, b/c in the original he was no more than a prop to introduce Rekha into the household..
wow! I wonder if the bollywood project made him rush through Numm? I have few questions about Q-Mj. first, If Q is illegitimate, then why doesn’t he ask Mj – Why the hell am I here? Because, he is going through identity crisis – how does he face his friends and society? At his age he should be furious about his existence and his parents. And as Alamgeer is not alive Mj is the one to question. But Q does not seem to be bothered about this issue. He is only possessive about Mj. Second, if he is the legal waris of Alamgeer, why didn’t Mj introduced him to Bs yet and allowed Q to undergo all the misery and hardship? Do you think that she was afraid that Bs won’t be convinced and punish/kill Q? Then this still is true. Why didn’t she talked about him to W. He is her son damn it. She had a good relationship with W to share her secrets as he is the ‘saza ki saathi’. How come Bs was not informed from other sources about Alamgeer’s son? Third, what does she want with Q? Alamgeer’s Land? Pahchan? Does she want to face him to Bs to emotionally challenge him? Why didn’t she do that yet? The guns and dogs and wafather servants were there 15 years ago and they will be there 15 years later. How can she give Q his deserved property and name if she does not confront him with the Bakht? Does she want to just leave her past and live with Q quietly and be silent about the property? She doesn’t believe that Q will be given his Huq. So I doubt he has to do with the seized property of Mj’s Khandan. What do you think? @SM I might be wrong but i feel Mj is not worried about the property whatsoever. she knows that BS is not the type dishing out anything to anybody..
now there must be some history as to why MJ had to hide Q’s existence, but i feel Q is aware of everything. He was pbbly given a false identity or something. We don’t know for sure yet but i’m really hoping that he may not be illegitimate after all. @FA how humiliating is that for a mother and son who hire a father’s name for survival for a name when put together with the son, it automatically conjoins with the mother. Shouldn’t it be that Q has a form of hatred also towards Mj along with love that we see? On the issue of Q I find Mj lame as a character, if she is the mother. A mother is a lioness to protect her child. What did she do for Q other than keeping him alive? His education, his emotional security, his position in the society, his and her dignity? A woman can endeavor all sorts of humiliation of her own but how can a woman tolerate the humiliation of her offspring? If, Q were legal she should have sacrifice his life and her own for the name sake. I am not talking about property. A wounded mother equally dangerous as a wounded lion. I could not see that junoon in Mj. @SM: Very pertinent points, and I hope the next few episodes will be devoted to answering these questions.. I think W meeting Q will open up a new chapter in this story as along with W we too get properly introduced to Mr Q….dekhte hain..
@SZ i was thinking abt ur comment on contrast in panchayat and office scenes..We saw BS & chamche going on & on abt the ”future in agriculture”… what if W turns out to be the industrialist type at the end? point to differ..again! wot u think? i also noticed W still didnt show no emotion towards the baby news.. even on the call to BS his barely-there-smile was more the cynical, tanzia type than anything else..why do u think that is? is it because of something he can see in BS motives? or could it be something worrying that our doctor baji has told W ji? Q’s statement ”jab apna haq na mile tou usko cheen lena chaye”… ”and tum apne aap ko samajhte kia ho – jo mein hoon”, himmat hai tou yahan hoon” , ”kon karta hai baat – usse jaho mujh se aake baat kare” , ”bura waqt khatam ho chuka hai” & the tone in ”mujhay usi (wali) ka intizar hai” ” all say to me he knows everything abt the past and he has a grand plan up his sleeves..i feel the whole aa bail mujhe maar scenario was truly deliberate. he wanted W to notice him takey baat khul jai and then he might let MJ free. but then again, like u said, why did he run? @SZ i know u feel MJ Q conersations are same old same old, but i felt that so far we’ve seen a MJ ke pyar and attention ko tarsa hua, very emotional Q .. but I thought we saw his real fiery side for the first time. he has alot of anger and resentment. ”tumhain sirf apni baat karni aati hai.. yahi seekha hai” .. bakht khandan has taken everything away from him for their own benefit.. nobody thinks about him…perhaps he’s also blaming MJs family here for agreeing to offer MJ as a vani to save whetever they could, depriving him of his mother in his life. and the oh so beautiful chess scene : ”iss ka matlab hai aik aur game lag sakti hai?” and those glares.. (even BS i falling for those lol) our W’s spine regeneration is well & truly showing up! and W is finally understanding Amtul & her philosophy. but what i’m failing to understand is whats causing this sudden change? @FA I agree with you on the Q being prepared for a battle with the Bakht. Although I don’t think he is cooking a plan for he is too young and hot-blooded to be able to do that. He, out of his anger wants to tear everything apart and confront everyone to shout out his existence – to the society – to the Bakhts and to himself. Also, on our eik game. W has the plan. @FA: Yes, W’s lack of emotion on hearing abt the baby was ajeeb indeed… and no, I dontthink has anything to do with that twerp of a doctor baji… hopefully answers coming soon! Re: Qasim scenes: I agree there is a lot more depth to those Q/MJ scenes .. my frustration stems from the fact that when you watch the ep in the first go and are anxious to see what happens next, and rather than an episode filed wit brilliant scenes like the chess scene, more than 50% of the episode is padded with the annoying N scenes and the monotonous Q and MJ scenes it gets really tedious. Every scene of MJ and Q revolves around her saying tum jao and him saying nahin.. and then other phrases thrown in … perhaps if these scenes could have been worded and visualized more creatively, it would have introduced some much needed freshness in their interactions, and gotten viewers to take these scenes a lot more seriously.. I was reflecting on the 1st episode where A says that a woman in comprised of rainbow of colors but the darkness of ignorance changes all these colors into black. Does she mean that her ignorance on understanding the Bhakth family has changed her life into darkness? I do hope we see more flashback of her. @SZ I agree on that. I think Maira Sazid set the plot not only on Vani issue but actually it is against the all-male system that makes the woman insecure everywhere, at home and even from her dearest ones. When she feels threatened from outside and inside, feels that she is losing her foothold, she plays all sorts of evil to get hold of her position. In this particular land and male based society inheritance and sons are of utmost importance. So women are seen as the son producers and their aim of life is to fulfill the wishes and ‘khushia’ of their father, brother, husband, Father-in-law and son. If you do that you become the ankhon ka tara. Or you are doomed. Think about Neelum – no matter how great a vamp she is, she has some basic rights. How insecure she is! She even doesn’t know that she is being cheated by her own family (Bs). Does she really have a place to stand if thrown out? She is being the vamp because she fears to lose W and will do anything to protect herself. N’s mother – I think a capable lady was there – Why then Bs has the PoA? Naeelum is just playing a typical ignorant woman who doesn’t really think much but does whatever she believes to help her secure her future. But the land goes to the Bakht. Poor Amtul. Such an enlightened lady – shadi karke faas gaya. The biggest tragedy. Same treatment from the family. She came from a khandani family and had land but whats the use. Spent her life in a room apart from her only son. Saw her husband go for a stupid filmy gun fight. Saw the qurbani of her son. Died without love, care and dignity – like a street dog. And the land goes to the Bakht. For Mj, she dared to defy and listened to her heart once. Not only by the Bakht, I think she was also thrown out by her own family – hence vani. I wonder what was negotiated for her freedom and the Khandani land? May be what Q refers as his huq?